You can read the official history of The Open Championship – Claret Jug os the Open Championship website. I personally found it a little confusing. So I’ll summarize it for you. The original prize was a belt, similar to one a boxer would receive. It was changed to the current trophy in 1873 and Tom Morris junior had the honor of being the first name engraved upon it for his 1872 win (apparently his 3rd). 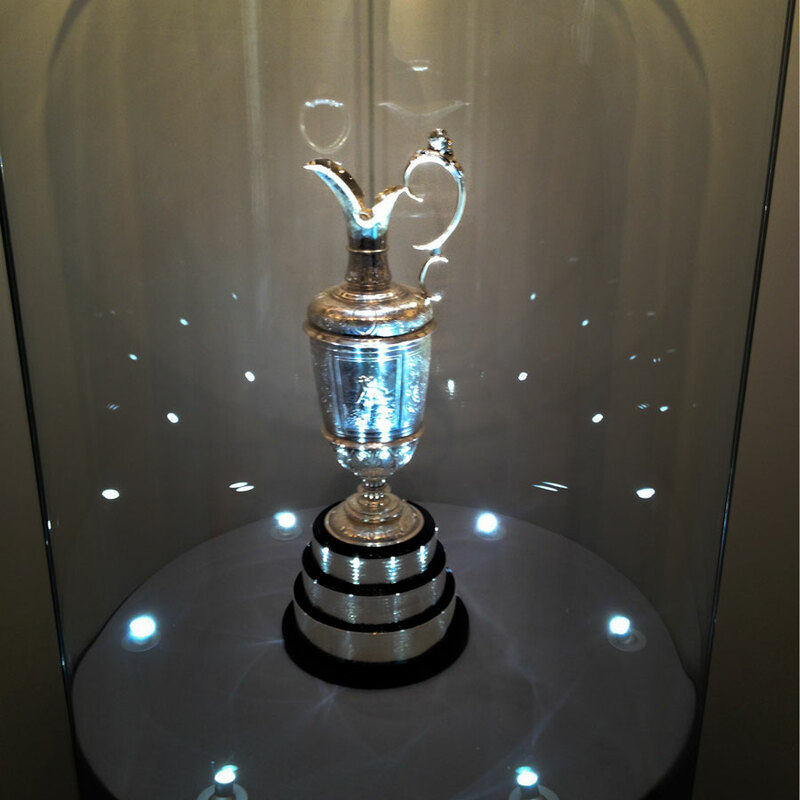 They gave the original claret jug to the winner, who then had to return it in time for the open the following year. In 1927 the committee decided to retain the original and give the winner a replica claret jug, reasonable enough decision. In 1872 the committee also added a golf medal as you may have seen and heard when this year’s winner Phil Mickelson was presented with both the Claret jug and his gold medal. Congratulations Phil! Photograph taken by junior golfer Clay Merchent with his iPhone when he played Carnoustie earlier this year.